HI! I'm Derpycoder0012, a Scratcher, an Animator, a Gamer, a Piano Player, a 7th grader, a [really bad] comedian, a curator, and the 3,563,594 user of Scratch. 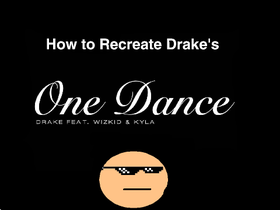 How to Recreate Drake's "One Dance"